Christmas is coming and as such I treat myself to the occasional tipple but of course I have to include chocolate in it. One of the things I love doing is making hot chocolate with real chocolate and creating a dense, thick hot chocolate shot. For this recipe I’ve given two options for you to try one which is a thick dense chocolate shot which almost needs a spoon and one a milky warm comforting mug of hot chocolate. I used Chocolat Madagascar which is made in Madagascar and one of the most ethical brands on the market but it is hard to buy so I recommend below Divine or Green & Black’s. Please don’t use other brands with “vegetable oil” as this will not work properly. Bring the 120mL of Baileys to a simmer in a small saucepan with the nutmeg and cinnamon (optional). Add the 100g of finely chopped or grated chocolate and whisk immediately. Keep on the very low heat as the chocolate melts into the Baileys and whisk until thick and smooth. The thickening should happen pretty much immediately. This is your liquid chocolate. Serve one third of the liquid chocolate “as is” in a shot glass for an intense shot of the ultimate hot chocolate. For a traditional mug of warming hot chocolate, add 175mL of warm milk to one serving of liquid hot chocolate while still in the pan and whisk until combined then serve in a lovely happy mug. This recipe was commissioned by Diageo. If you’d like to try some of their other festive drinks, why not pop over to https://uk.thebar.com/cocktail-occasions/christmas-new-year and give them a try? Please remember that as this is alcoholic hot chocolate it is absolutely unsuitable for anyone below the drinking age. 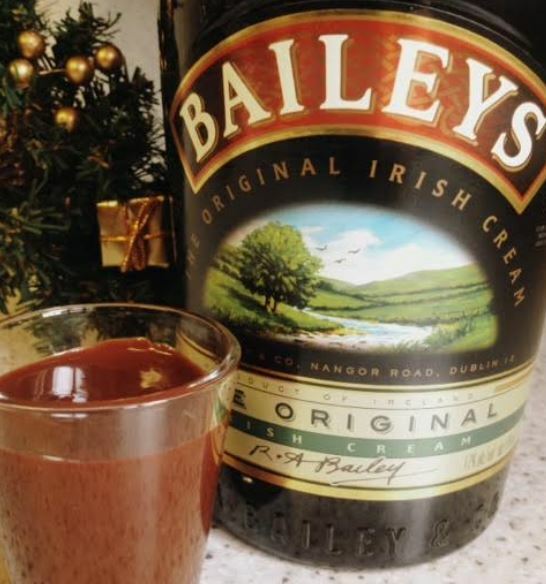 For a non-alcoholic version, replace the Baileys in this recipe with water and bring it to a full boil before adding the chocolate and whisking until ready. This is an absolutely brilliant recipe – I can’t wait top give it a try. 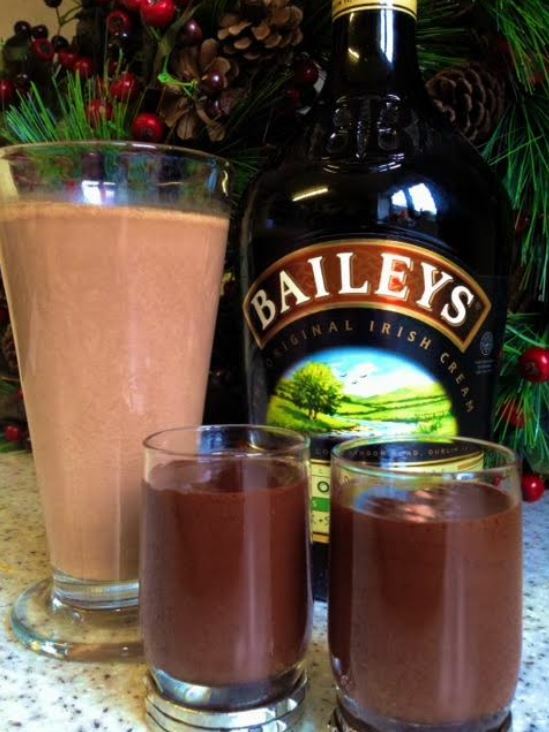 It looks so simple I can’r believe you are able to just add a chocolate bar to Baileys and get hot chocolate! That looks lovely. I can already see it becoming a firm favourite in our home over the Christmas period. Festive indulgence at its best – looking forward to trying this recipe out before the January dieting strikes!